Today I am going to tell you a bit about a fella names Albert Jacka, let me guess you have no idea who he is well I also had no idea who he was till he was mentioned on a tv program I was watching recently. 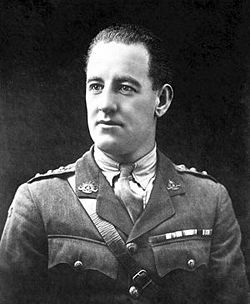 Albert Jacka, VC, MC & Bar, was born on the 10th January 1893 and was the first Australian to be awarded the Victoria Cross during the first world war, the highest the highest decoration for gallantry “in the face of the enemy” that can be awarded to members of the British and Commonwealtharmed forces. He received the medal for his actions during the Gallipoli Campaign. He later served on the Western Front and was twice further decorated for his bravery. 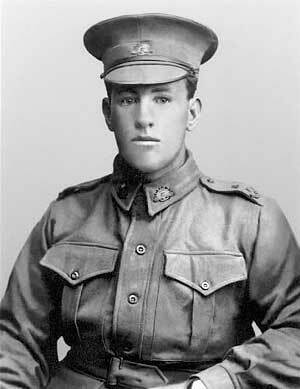 He was to receive his VC for his actions at Courtney’s Post, on the 19th May 1915 the Turks launched an assault against the Anzac line, capturing a section of the trench on end of which was guarded by Jacka for several minutes he fired warning shots into the trench wall until reinforcements arrived. He then attempted to enter the trench with three others; all but Jacka were either wounded or pinned. It was then decided that while a feint attack was made from the same end, Jacka would attack from the rear. The party then proceeded to engage the Turks with rifle fire, throwing in two bombs as Jacka skirted around to attack from the flank. He climbed out onto “no man’s land“, entering the trench via theparapet. In the resulting conflict, Jacka shot five Turkish soldiers and bayoneted two others, forcing the remainder to flee the trench; he then held the trench alone for the remainder of the night. Jacka’s platoon commander, Lieutenant Crabbe, informed him the following morning that he would be recommended for his bravery. Whoa! You dropped the hammer there at the end. I was into the story, rooting for Jacka, then, boom, he dies at 39!?! He accomplished a lot in a short life. Not to insult the guy, but in that picture, he looks like he’s in his late 40’s. Maybe it’s the camera. I love a good history story, and I especially like when you weave a historical tale. Very interesting! Sadly I haven’t heard of him, but in America we only learn a biased version of history that has to do with us lol.